The business-to-business sector has its own email marketing rules. Following them may be a bit harder than in the case of, say, Groupon. Here are some tips for marketers whose target customers don’t open emails unless they’re wearing a tie, and want to unsubscribe from your list. 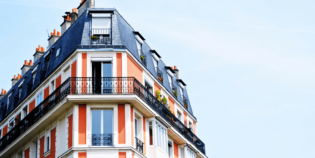 Well-balanced content personalization, target groups made up mostly of decision-makers, managers and entrepreneurs, together with laser focus on the value proposition makes email promotion in the B2B sector a whole different ball game. I wrote about the email marketing creativity of Ruby Tuesday a while ago, and one of the readers pointed out to me that even though this kind of treatment is great, it’s not really an option in the B2B sector, and asked me for an effective alternative. Well, it’s true that if your subscriber group is primarily managers between 30 and 50, you don’t want to tell them stories about the “big red button”. 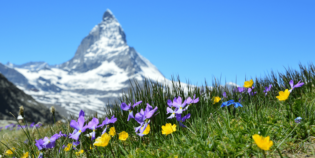 Attention to detail, from the tone of voice and non-pushy sales style, to knowledge of the subscriber’s business needs, interests and preferences which, incidentally, should all be included in every B2B profile. Respect for the subscriber’s time. 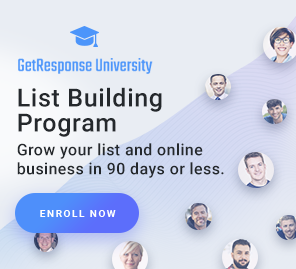 If you’re not concise and don’t deliver your value proposition quickly and clearly, you show a lack of understanding of your subscriber’s needs, which can result in an immediate unsubscribe or sending your email to the junk folder. 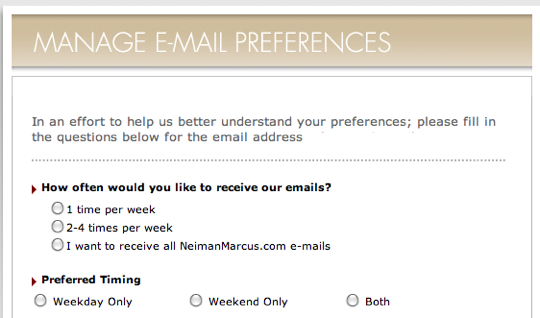 The detail-oriented B2B marketer should also implement and refer to the so-called “Preference Center”, which, during the unsubscribe process, will let the fleeing subscriber reduce newsletter frequency and, hopefully, stay onboard. A recent study by ReturnPath showed that only 1 in 47 British companies offers an alternative channel of communication to subscribers who want to leave their list. The result is even more surprising considering the fact that because of the growing multichannel communication trend, recipients are often overwhelmed by redundant information ­– email, social media, RSS, SMS, snail mail, and so forth. Instead of flooding your customers with the same content from different sources, give them the chance to “filter” your messages. The best communication strategies focus on effectiveness and ROI, not the number of subscribers or fans. Quality, not quantity! #3 Update your newsletter topics. 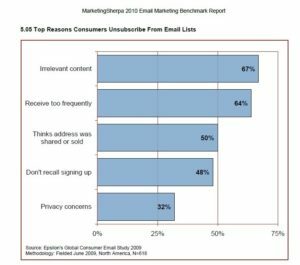 “I resigned because the content of the newsletters no longer interested me.” Irrelevant content is the most popular reason for clicking the “Unsubscribe” link, according to the MarketingSherpa study quoted above. If you’re covering the subjects your subscribers said they preferred, the next best thing to “reading minds” is to offer them alternative mailing lists, if you have them (always a good idea). Maybe they’d like to receive offers on, say, time management courses? Who knows! But here’s a tip: build a reserve of good articles and sites on a couple of alternative topics, just in case on-the-fence subscribers are looking for something different. 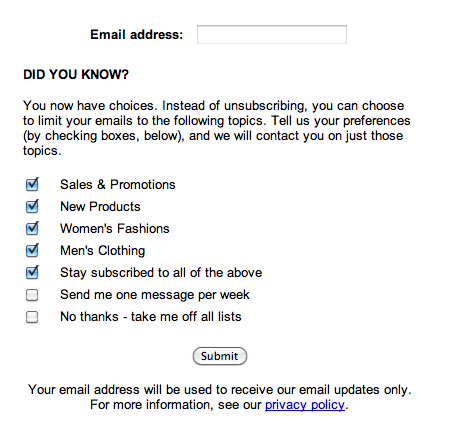 It’s worth a try – even if it only saves a few unsubscribes (and lost income). Emarketer.com reports that 68% of American marketers will increase email marketing spending as a means of reaching B2B clients in 2011. This forecast is really promising and, when it comes to dynamic growth, only development and website maintenance budgets exceed those spent on email. While optimizing your B2B email campaigns is top priority, it’s worth paying attention to the above mentioned details. Customer retention is just as important as acquisition and, without an adequate, well thought-out strategy, you can’t expect busy managers to respond to your messages – or stay subscribed. Finally, if you have any suggestions on B2B email marketing topics you’d like to read about, share them in the comments. I’ll be glad to discuss all of them!